Mizuno's marketing pitch: Race day feel in an everyday training shoe. Upper: Spacer mesh, synthetic leather. Midsole: Compression molded U4Ic EVA, Pebax parallel heel Wave plate. 9mm heel to toe drop. Outsole: Hard carbon rubber (X10) in heel, softer rubber in forefoot. Widths available: Single - medium (reviewed). If you like going fast, then you will love the Hitogami 2 and its consistent ride. 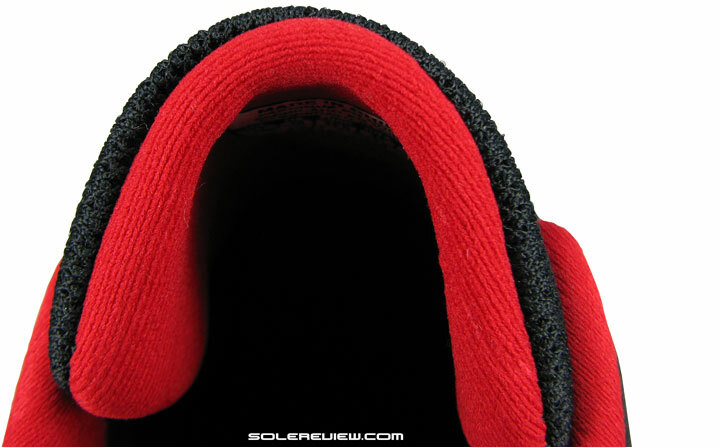 But be warned, the midsole’s neither soft or responsive, and the upper can feel a bit tight. So know what you’re stepping into, literally. Upper interior could be smoother, U4ic foam not responsive as marketed. Japanese art comes in handy again on the Hitogami 2. If there’s one thing any Japanese brand will never be in short supply of, that’s design inspiration. For the small sea-locked country is so rich in cultural traditions and diverse art forms, that if you were to stand in a busy Tokyo square, and chucked your Wasabi flavoured soybean in a random direction, it would likely land on an object borne out of that rich legacy. There is so, so much to draw from. Japanese painting styles. Architecture. Sword making. Glazed pottery. Festivals. Mythology and folklore. Flower arrangement. Origami. Kites. And unsurprisingly, a lot of that is ingrained in the daily way of life too. Things as simple as a store checkout clerk packing your merchandise; all you can do is stand back and simply admire the way the slender fingers fluidly go about the business of gift wrapping your purchase, with perfect paper creases and symmetry of folds. If that isn’t a Japanese art form in action, what is. Another example could be your kitchen knife, forged at the hands of a twelfth generation Samurai sword maker. What the heck, even the different seasons end up being art forms. 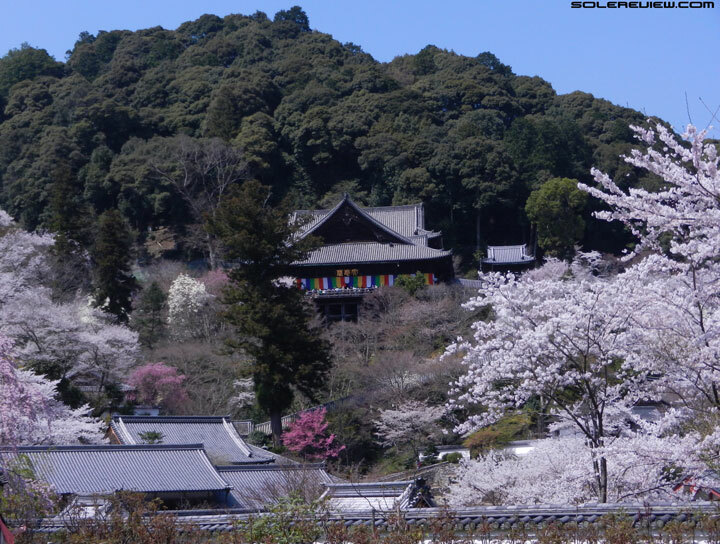 We joke not; there is nothing more Japanese than Cherry blossoms in spring. The spirit of Japanese Tengu now makes the upper its home. 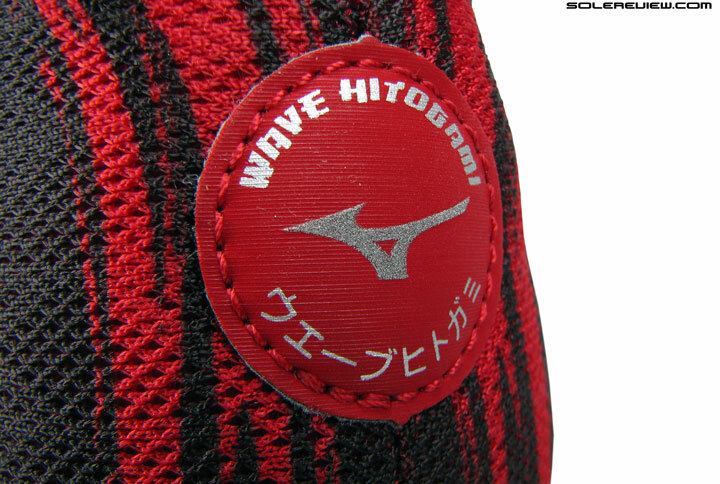 So even with an upper pattern as simple as what the Mizuno Wave Hitogami 2 sports, things take a definite turn for the artistic with a graphic inspired by the ‘Tengu’, a mythical creature which is a part of Japanese folklore. The whorl like patterns on the side panels and toe bumper appear to symbolize the Tengu’s angry visage, with the deep red and black color scheme adding to the sinister theme. Why use the word sinister? Tengus usually have malevolent intentions than being well meaning, and are generally perceived as dangerous characters best not trifled with. Hitogami? What’s that? ‘Man-god’, in English. And the shoe itself? A racer. By the way, Hitogami means ‘man-god’ or ‘human-god’, and the previous version of the Hitogami had graphics inspired by Japanese Kabuki theatre. We could launch into a deeper discussion about all that, but then, we don’t want to be stuck here all day, do we? What is the Wave Hitogami? 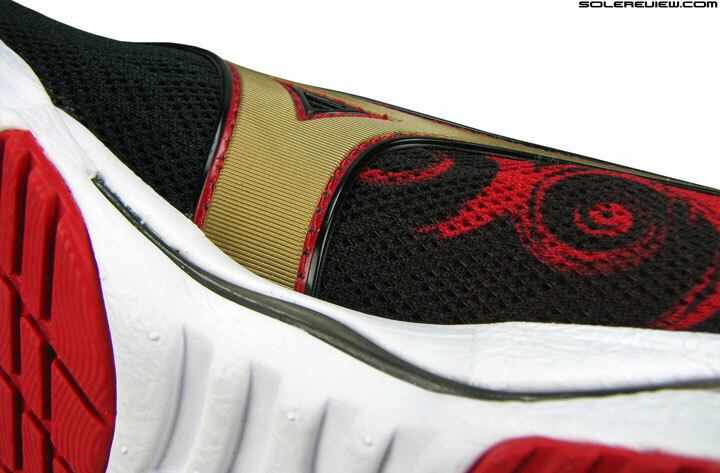 It is a speed shoe, the kind which will help you put quick miles between you and the Tengu if you ever encountered one. It is not an all-out racing flat in the vein of the Wave Ekiden or Universe, but something with a little more meat on it. More dual purpose than just a race-day shoe, allowing runners to put daily miles on it too. Historically speaking, the 2014 Hitogami was a replacement for the Wave Ronin, and this edition is the second year update of the series. We haven’t tried the H-1, but from the looks of it, both shoes seem to share identical soles. So we’re assuming that nothing has moved as far as the ride is concerned, only the upper fit. The Hitogami 2 is really a sprightly little thing. That fast-ness comes from the firm and lower profile midsole, with the snug upper helping in forefoot lockdown. The ride is very firm — many will call it hard — and there isn’t much thickness to go around, especially in the forefoot where a mere 9 millimeters of foam is all what separates your foot from the blue planet. A thin forefoot is absolutely helpful in quick and effortless transitions and building a fast and efficient cadence. Moreover, the lack of material also delivers a better ground feel. The trade-off in this case is reduced cushioning, and on longer runs, you wish you had something more padded both in the front and rear. Like the Sayonara 2, which is noticeably more cushioned than the Hitogami. 18 mm of firmness under the heel. Two layers of EVA, but both feel the same in density. U4ic is far from responsive. Talk of the heel, and that is also tuned for a very firm ride. 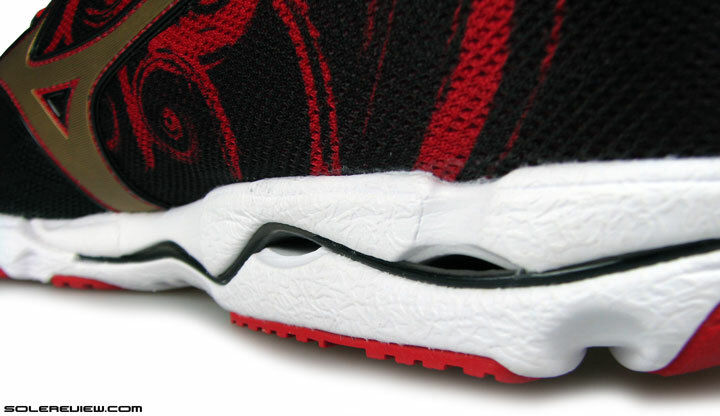 At 18 mm, it might have twice the thickness of the forefoot, yet the stacking arrangement of two firm midsole layers sandwiching a rigid Wave plate produces a firm under-heel sensation. The lower midsole foam extends without break from heel to toe, and the upper layer is spread under the heel and forefoot. 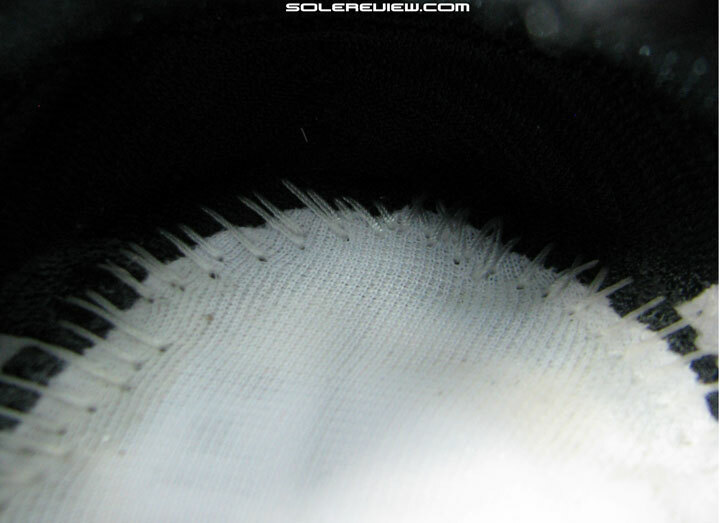 Many might assume the top and bottom midsole layers to have different densities, but we did not sense that. You might be able to see through under the trough of the Wave plate, but if splaying happens here, that does not translate into responsiveness. There isn’t splaying of the Wave unit at all, at least not to the extent that you can feel it underfoot. The heel and midfoot-only Wave insert might sport its trademark crests and troughs, but if anything, the Wave plate has a greater role to play in smoothening transition than delivering responsive cushioning. So neither the heel or forefoot has any amount of responsive springback, putting a dent in Mizuno’s U4ic marketing claim. Segmented crash pad and open under-rearfoot section, but that does not lead to responsiveness. The heel crash pad is kind-of-segmented, and there is an exposed cavity under the heel, and usually in other shoes these help increase the cushioning sensation. But not today. If you were expecting the exposed section or crash pad to splay out, it doesn’t happen. The heel base is too narrow and firm for that, with the solid Wave plate and hard midsole foam resisting compression under weight. Longer Wave plate on the medial side. Transition plays out good on the Hitogami 2. Instead, what you get is a spectacularly uniform quality of ride. The end-to-end hardness of midsole brings consistency to the transition game, and so does the Wave plate, which extends way past the arch on the medial side. The impartial approach to midsole compression eliminates any distraction, with the heel and forefoot coming across as balanced in their feel. 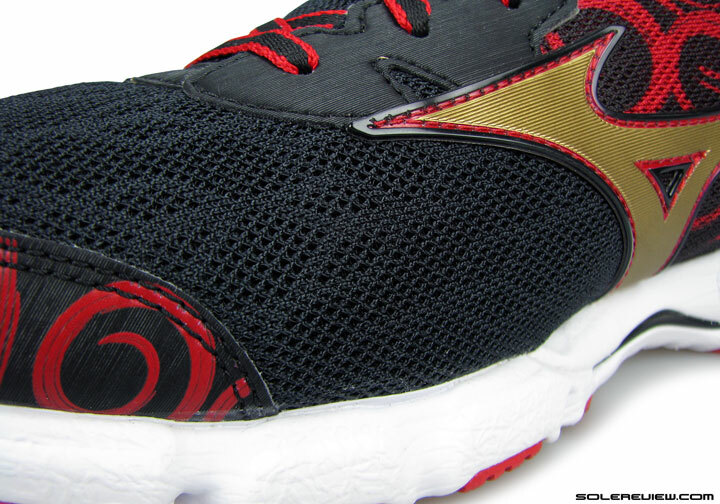 Mizuno’s published heel to toe drop for the Hitogami is 9 mm, and yet the shoe doesn’t feel like one. This is even when you take into consideration the fact that here the static and loaded drops should be very similar, as the foam is resistant to being compressed. A natural produce of this set-up is stability, despite the absence of features such as raised sidewalls. A lower to the ground profile combined with overall firmness does the stability trick, keeping the foot neutrally positioned and supported. Like how it was in the Wave Rider 18, the insole rests in a shallow forefoot midsole curve, making the foot feel a part of the midsole when laced up nice and proper. 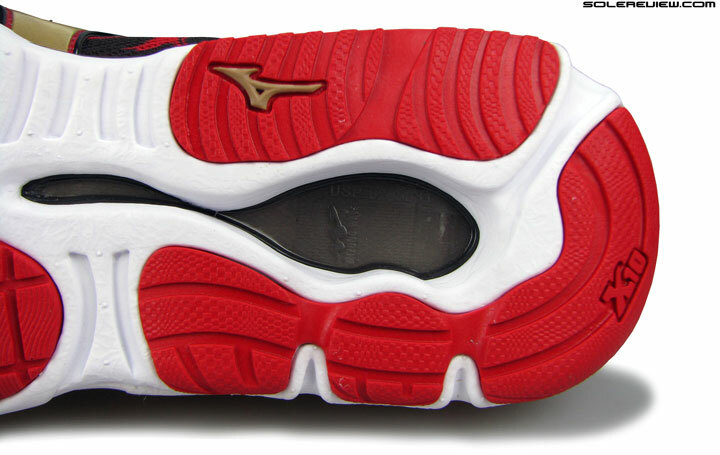 Open celled foam insole; a regular Mizuno fixture. 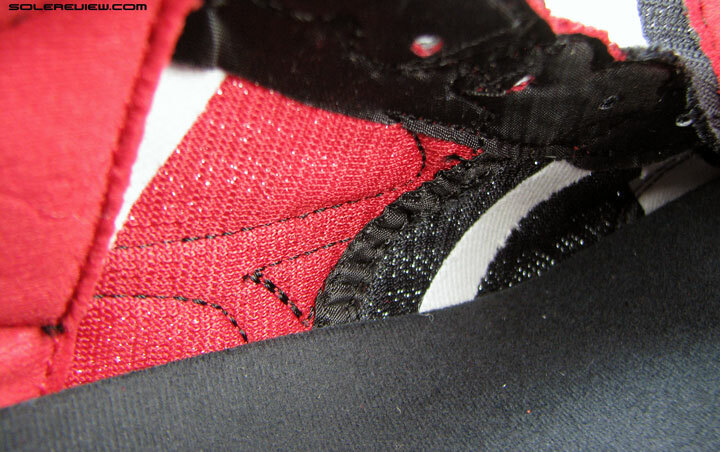 The insole lining fabric is super plush. Simple fabric lasting, no foam lining below. And yes, the insole. This is the only plush component on the Hitogami, created by laminating a soft top-fabric and a sheet of open celled foam together. 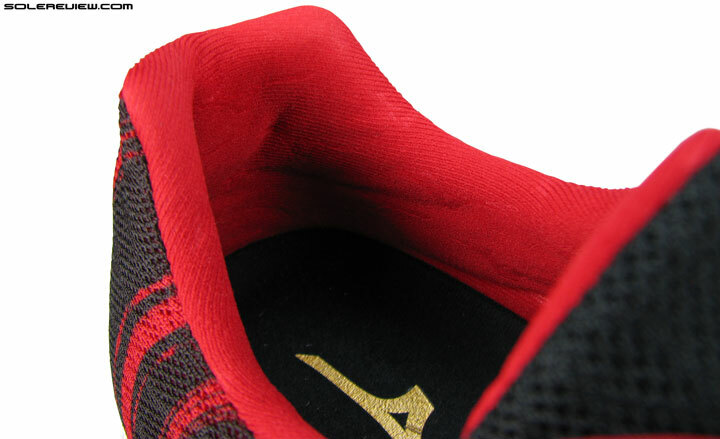 The result is a cushy overlay giving respite from the unforgiving firmness of the U4ic midsole underneath. An apt analogy would be that of a thin but comfortable mattress in an otherwise sparsely furnished room. The strobel lasting is a plain, no frills textile over the midsole, so it counts for nought when it comes to cushioning. The Hitogami 2 has a narrow midsole waist, which comes with the lightweight racing territory. The waist is very narrow in the area where the midsole curves inwards under the arch. Going by our experience with similar silhouettes such as the adios Boost, we thought that this could present a problem. 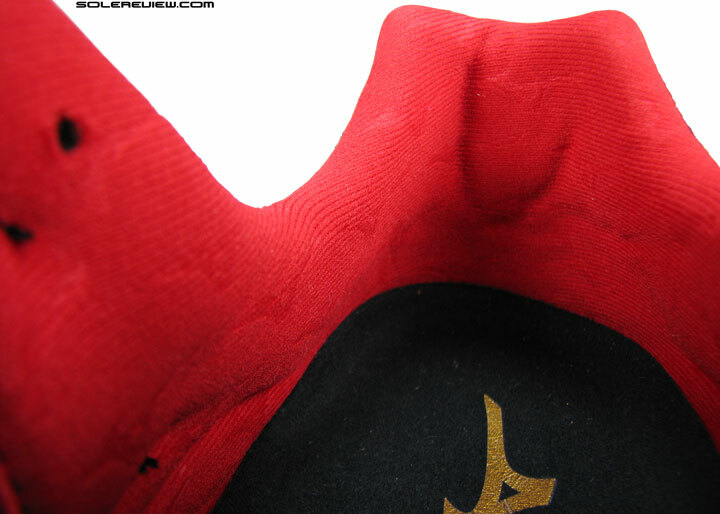 We needn’t have worried however, as the midsole edges did not cause any discomfort under the arch area. 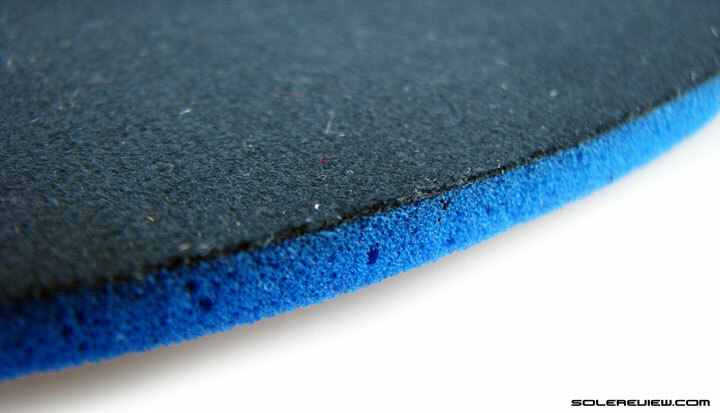 The reason is that the foam edge might be firm, but far from hard and sharp. Add to that a topping of a cushioned insole over the midsole, which softens any potential pressure points. A combination of hard heel rubber and low density forefoot slabs provides coverage. At 250 grams/ 8.8 oz, the Hitogami 2 is not super-light, and the generous application of outsole rubber is one of the likely reasons. X-10 hardness shows up for protection duties under lateral heel, and the rest of the outsole is soft rubber. A small section on the midfoot is kept uncovered, but for all practical purposes, the outsole can be described as full contact. 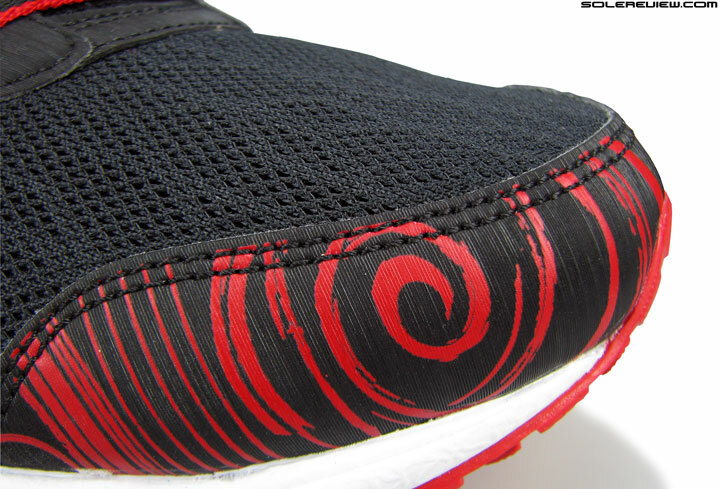 The midfoot area is a bit recessed in relation to the outsole, but you don’t feel the break in transition at all. The rubber slabs lie inset within the midsole cavity, and do not protrude. Grip is delivered well by the soft rubber, with dozen of tiny lugs working together. Durability is very high based on our early weartest impressions, and use of rubber all around isn’t the only reason. 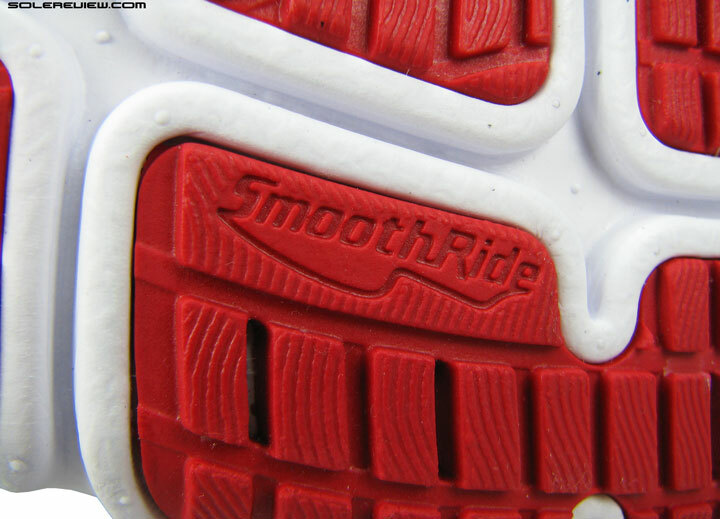 The design of the outsole is such that the various slabs of rubber sit fully flush with the midsole foam. This is made possible by the thinner sheets of rubber inlaid within molded midsole cavities. This also has a positive effect on flexibility, which the Hitogami shows a lot of. Midfoot is rigid, but the front is very easy to bend. 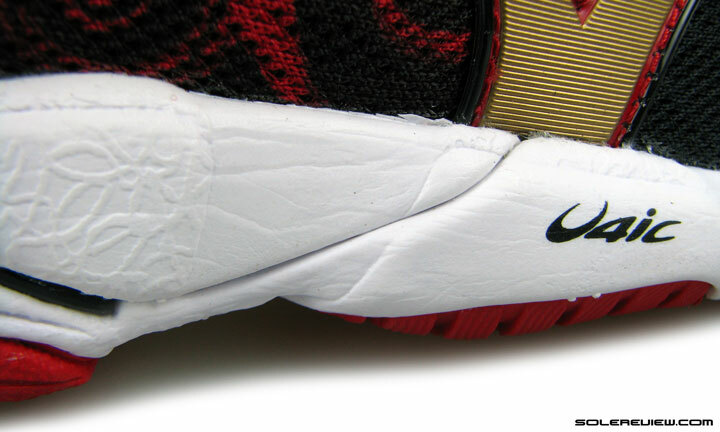 The design result is that none of the rubber lugs stick out in relation to the midsole, so when the shoe impacts the ground, the white foam and rubber bear the abrasive forces equally. A slightly unusual design put into practice, but it seems to work. 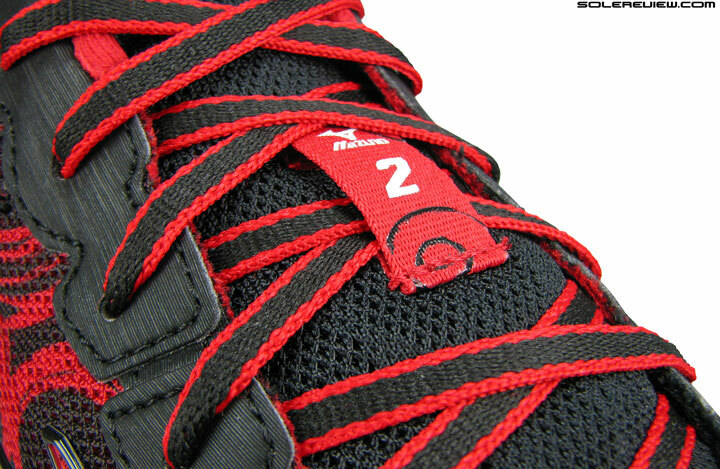 Flat ribbon laces over the Hitogami’s tongue. If you haven’t already put the pieces together, the Hitogami 2 bears the signature Mizuno ride. In English, that’s a firm yet fuss-free character of the midsole, helped by the progressive nature of the full contact outsole. Those looking for any level of responsiveness or cushioning softness won’t find it here, and even if you did, that would be none other than the insole working its softness. This makes the Hitogami a unique sort in the category of lightweight pacers, also populated by other (more cushioned) models such as the New Balance 1500 v1, adidas Adios 2 Boost and the Zoom Streak 5. But that doesn’t mean all that its purpose is diluted; as far as delivering a fast run is concerned, the Mizuno performs with aplomb. If you were to switch from a softer, traditionally thick midsoled trainer to the Hitogami 2, you should see a marginal improvement in your 5-10k running time. 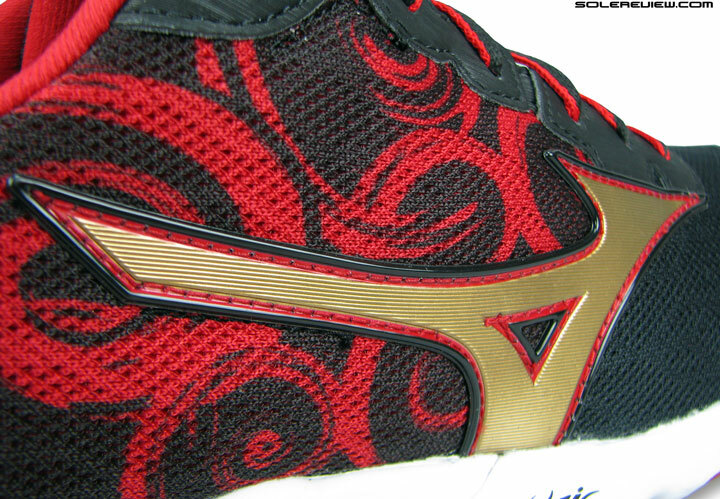 If the upper looks familiar, then that’s because all Mizuno shoes this year adopt the same pattern. Regardless of the Tengu graphic story, the Hitogami 2 upper is a simple affair. The silhouette is identical to rest of Mizuno’s current line-up, which packages together a synthetic toe bumper, molded side logos, artificial leather eyelet panel and a tongue fashioned the non-sleeved way. An unusual contrast of a relaxed forefoot and a tight midfoot. A little spacious right around the tip. Ample toe box height and room at the front, caused by the molded heel counter flaring outwards. The removable insole is positioned flush with the midsole edge. As typical of low profile speed runners, the forefoot is snug but not where most shoes end up being. On the Hitogami 2, the tightness comes around late midfoot – early forefoot instead of being 100% focused on the forefoot. The actual forefoot and toe box is roomy in context of a racing shoe; the insole sits cradled inside the midsole so that creates some extra forefoot height. Bumper design keeps the toe-box spacious. Rigid heel molding of the Hitogami 2. Has an internal stiffener, and grips well for what is a sparsely padded collar lining. With its non-invasive design, the toe bumper isn’t very aggressive, and when combined with the cupped insole placement, it allows the big toe to move freely. Our simple sizing answer for the Hitogami 2 would be to go true. It has a little more room around the tip than what one would expect, but you also have to keep in mind that going a half size down might result in a smaller fit volume. And what causes this extra room in the front? 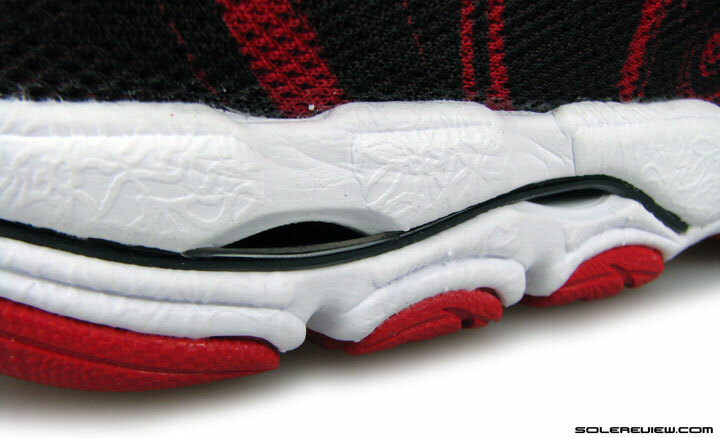 If you look at shoe heel laterally, you’ll observe that the heel counter molding has a visibly outwards flare. No overlays on either forefoot sides. 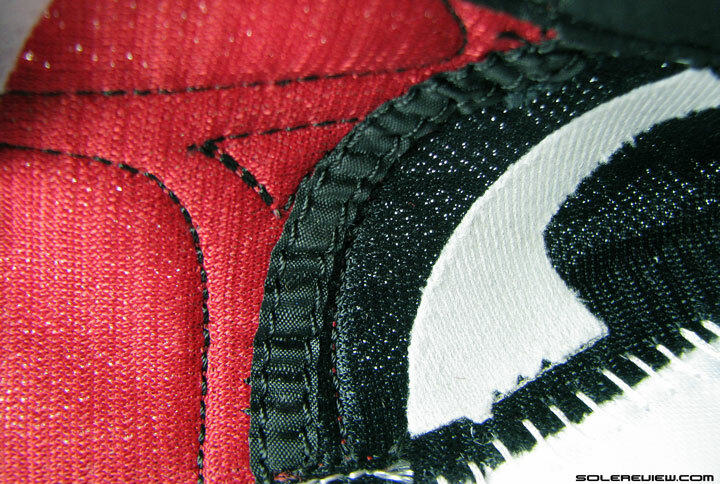 Seams on the medial side are felt even when worn with socks. Without socks, the Hitogami 2 is a no-no. No external overlays layer the forefoot, leaving it all mesh. 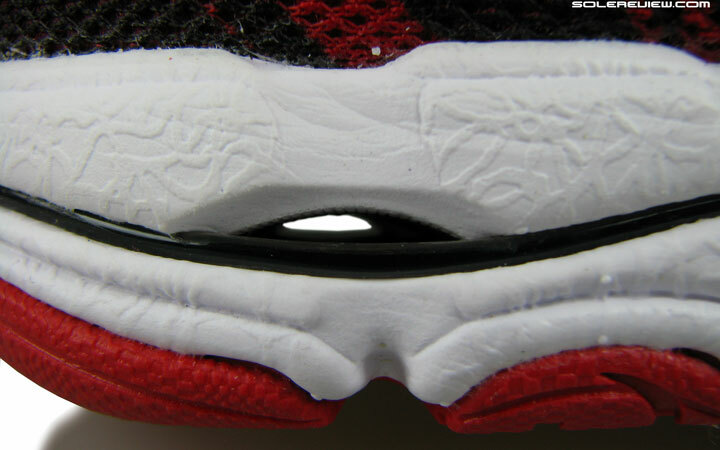 And yet the Hitogami suffers from now a well known design oversight, which is the inclusion of internal seams in all most Mizuno shoes we’ve reviewed so far. 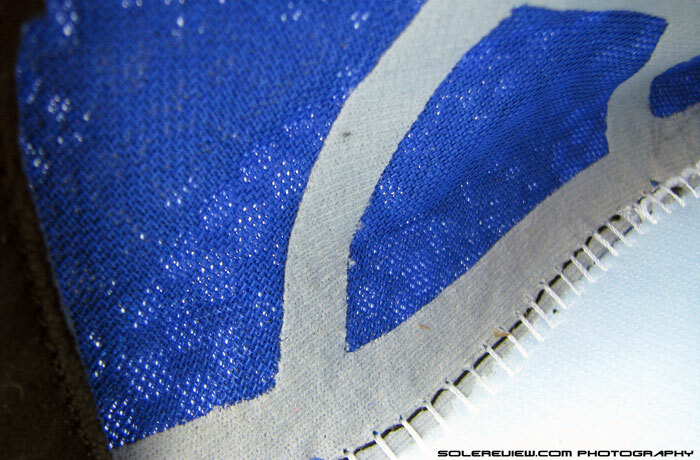 One rough, stitched-on reinforcement tape cuts vertically across the midfoot inside. There is another set of no-sew tapes just a few millimetres ahead, this time serving the purpose of helping the shoe retain its upper shape. 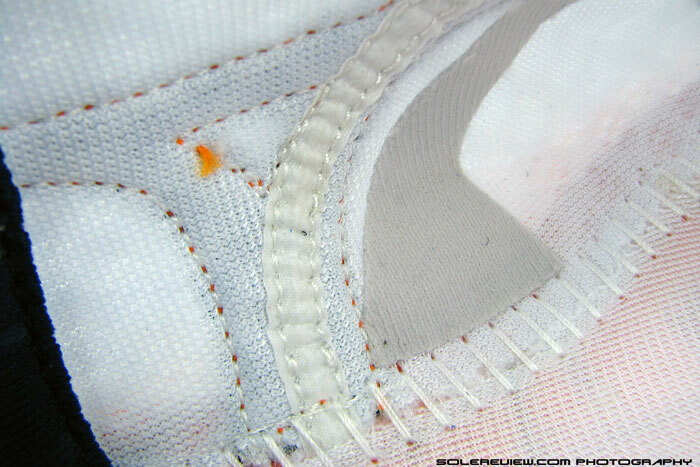 The no-sew tape in white is not the issue; the black stitched seam is. The seams don’t chafe when running in socks, but nevertheless you feel them in their places. Why can’t Mizuno take a leaf out of New Balance 1500’s book and produce an upper interior which feels smooth and consistent in fit pressure, despite being form fitting? 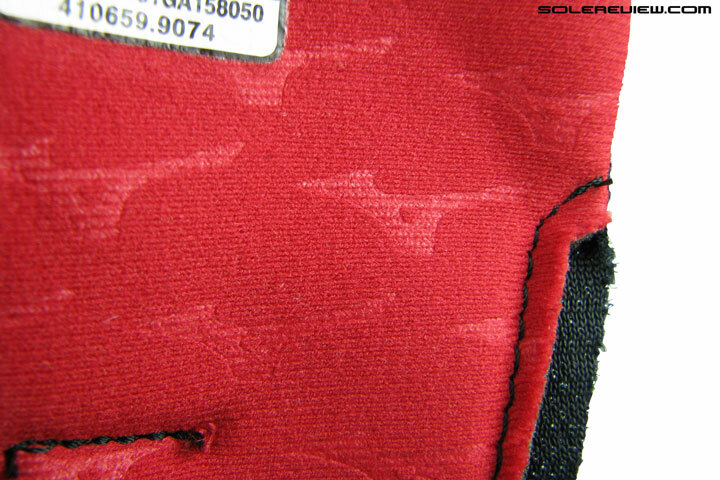 Better still, at least match the Sayonara 2, which has only the smooth no-sew tape and not the seam. The Hitogami 2 seams do rear their ugly heads when used without socks, as was the case in the Inspire 11 and Rider 18. 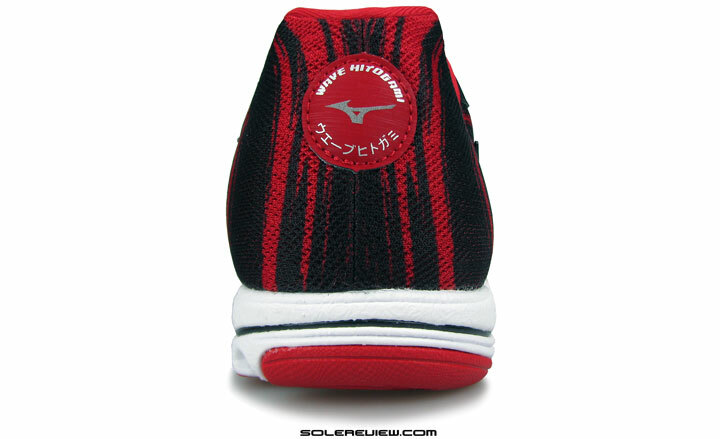 It would appear that all Mizuno shoes which features the stiff molded logos have the seam, with the exception of the Sayonara 2, which relies on a welded logo. 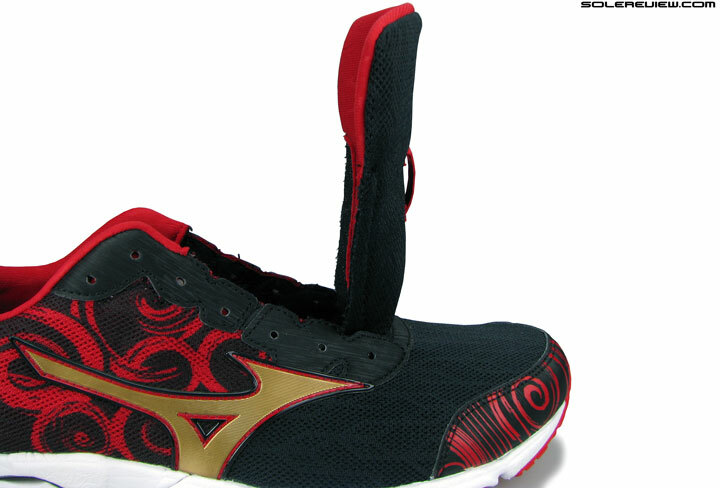 No bootie construction here (same as most Mizunos), so expect a small amount of tongue slide. Wide flap prevents excessive tongue slide. Thin tongue, yet top down pressure is not a concern. Mild tongue slide is a Hitogami personality trait, as the thinly padded, two mesh tongue is without sleeving. The wide tongue flap of the Hitogami 2 (actually all Mizunos have that) helps arrests the sideways movement from being excessive. That’s your barely there collar padding. 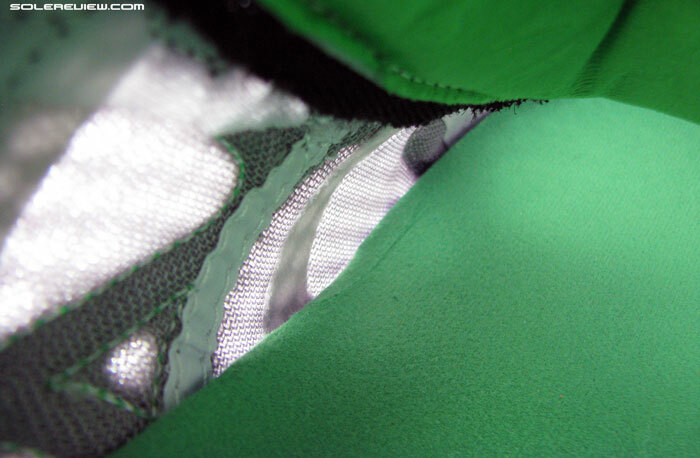 Runbird embossed logo fabric is a shared material with other Mizuno models. Surprisingly, there is no slippage. Mizuno isn’t exactly known for its plush collar, and the Hitogami sees an even more scaled down version of that design approach. There is hardly any foam padding in between, and you can feel the hard heel counter beneath the soft, Mizuno logo embossed lining. However, heel slippage isn’t a problem. From what we can see, the nicely molded contours of the internal heel stiffener seems to provide the grip the foot needs. That’s the long and short of the Hitogami 2, which can be accurately captioned as the diet version of the Sayonara 2. This running shoe category isn’t as densely populated with models as much as other traditional varieties are, so the Hitogami 2 is a welcome addition of choice. It is satisfactorily lightweight, doesn’t break the bank, and makes no pretense to being anything other what it actually is – a no frills shoe which goes fast as promised. This is one Tengu you can be friends with. I tried the Hitogami 1s but the stitched seam on the upper, just after the laces end and before the forefoot mesh begins, dug into the top of my 2nd and 3rd toes horribly and painfully. I perserved waiting for them to ‘break-in’, but had to give up in the end. Sizing up didn’t help either. I wondered if this problem might have been resolved on the version 2s? Can’t say for sure, because we don’t have test experience with the H-1. 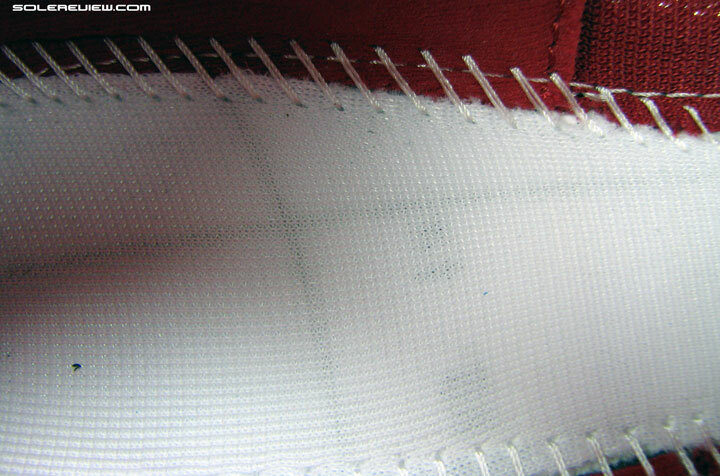 But the Hitogami 2 has these seams inside too, so would be wise to first try them out at the store and see if they feel similar to your existing shoe. If so, better off avoiding these. Thanks. It seems to me that rough inside seams like this are going to tend to cause trouble, especially in a shoes with a snug fit. I am surprised that Mizuno haven’t tried to deal with this. Yay, it´s a Mizuno 🙂 You really have a grasp on that Mizunoness that makes them kind of unique. If you imagine the Hitogami with the more bouncy ap+ foam, a little bit more stiffness and a slightly more relaxed fit at the front then you got the old Mizuno models like the Ronin that so many loved. Though the recent Hitogami 1,2 are no shoes for me, my heart grows a few inches everytime I read one of your Mizuno reviews. The last stop on the Mizuno train before the updated Paradox and Enigma 🙂 The hypothetical shoe you’ve described sounds like speed shoe perfection; maybe one day will be yesterday once more. Thank you for the comment, and there’s a new picture of Japanese Cherry Blossoms for you – second picture in the review now. And it would be very interesting to get your take on the old Ronin. I only have experience with the 3 but the 5 is said to be great too – maybe a little softer and flexible though. You’re welcome! Let’s see what the new Enigma and Paradox brings into the picture. Would love to scoop a few older pairs off ebay (like the ones you’ve mentioned) for reviews, but financial resources (or rather the lack of it) is one struggle we always have to deal with. Just FYI: Mizuno released the Wave Cruise, which on paper looks exactly the kind of shoe you (and me, and I’m sure lots of others) were searching for. Less shoe than the Hitogami, yet more cushioning than say the Universe or Ekiden. It reads like the perfect trainer/racer for distances up to a marathon, although the Universe is hard to beat in that regard. I know I will give them a spin as soon as they’re available. That blue colourway is simply gorgeous! I really enjoy your reviews. This is off-topic but I’m an underpronator and diabetic but still run small distances. I’ve been wearing Nimbus 15s that have felt pretty good. I’m thinking of rotating my style of running shoes and would like to know if there are any other good underpronation shoes you can recommend? I could care less about weight, cushioning is a must, thanks. Are there any mizuno shoes you would recommend to a forefoot/midfoot striker? I usually run 3-5K’s. The Sayonara 2 is something you can try, even the Inspire 11’s. Currently 39.99 on mizuno’s website. VERY LIMITED amount of sizes. This cool version is not avail. That is a steal, really. Got a pair of these for 50€ in orange (online clearance), which is a steal I think. Looking forward to trying Mizunos when they arrive this week. I rotate Streak LT2, MR00v2 (up to 10km), and different pairs of Vivobarefoot (up to 5km), and Pegs 31 for my weekly long run. I’ve been working hard on my form over the last couple of months. With my running more upright, and at a higher cadence, I’ve naturally changed to a mid-foot strike. Unfortunately, the Pegasus 31 feels really hard/unresponsive under the forefoot/midsole in contrast to its well cushioned heel, making for a very uneven ride – at least in my limited experience. I read from lots of non-Elite Marathon runners, that the Hitogami is a solid daily light trainer for runners light on their feet. Given my experience with quite firm low to zero drop shoes (look above) I will give it a shot. At this price nothing’s lost. What’s odd is, that I heard from different sources about the Hitogamis’ comfortable wide toebox, yet you rate it at 9/10 (10 being the tightest). May I ask you to comment on that? I sized up 1 EU size (1/2 US), and the toe box is very roomy, not only in relation to other racers. Without insole/sockliner drop doesn’t feel anywhere like a 9, more like 6mm. My only other 1-10mm drop shoe is the Streak LT2 (4mm), and the Mizunos are only a tad steeper. 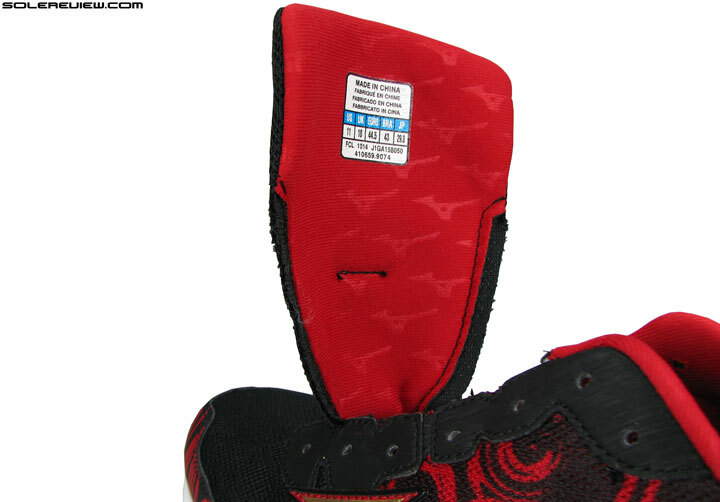 The midsole is indeed a bit on the harder side, especially with the insole removed. With the insole in place, and a pair of socks the ride is way too plushy though. However, without socks (and insole) the rough collar lining caused nasty abrasions. So the only viable combination for me seems to go for sans insole, and lightly padded socks (like RU4s or PhDs). I haven’t tried insole + very thin socks, because heel portion seems much thicker than the forefoot, and I have the feeling it adds considerably to the drop. What’s your opinion on the insole’s increasing the shoe’s drop? I think your forefoot’s 9/10 rating doesn’t quite fit the description, and might be misleading for some. If I had gone just by the numbers, and hadn’t read details about the toe box in your review, and on various sides/boards, I wouldn’t have considered a purchase, as a narrow toe box in combination with mid/forefoot strike calls for any one of Metatarsalgia’s nasty symptoms in my (and most others’) feet on longer hard runs. Thanks again, for this (as usual) very detailed, and sound review! Thank you for the feedback. It is very hard to expand on the sensory scorecard, where we mark levels of a shoe’s different attributes. In most cases, our detailed review will cover specific areas of fit and ride behavior – the overall score (83%) might not always paint a comprehensive picture. That is why we spend SO much time on rest of the review with pictures and text descriptions. If everything fails, then our reader has the comment section to fall back on! I don’t know about the Hitogami 2s but I just bought a pair of Hitogami 1s and they are awesome. I was a little bit wary of trying out minimalist shoes because I have diabetic, sensitive feet but they were only $49 so I thought I’d give them a try. My feet are also somewhat wide but these fit perfectly. I’m a big under-pronator and these felt great. I heard a few reviews say these were good for under-pronators and they were right. My first run in these I was able to knock 7 seconds off my mile run, no wonder serious runners raved about this shoe. Shoes are super light but still have good cushioning for being minimalist. I didn’t feel any pain in my knees which some shoes cause me. Thinking about buying a 2nd pair since the 2s don’t seem to have as high reviews. Appreciate the insights – helpful for us, since we haven’t tried the H-1. One of things we like about Mizuno is its accommodating fit across, something you’ve validated in your comment too. The comments/Q&A thread will be closed till January 17, 2016. Any inconvenience is regretted. Premium access members can continue to use their comments section, which will be open.